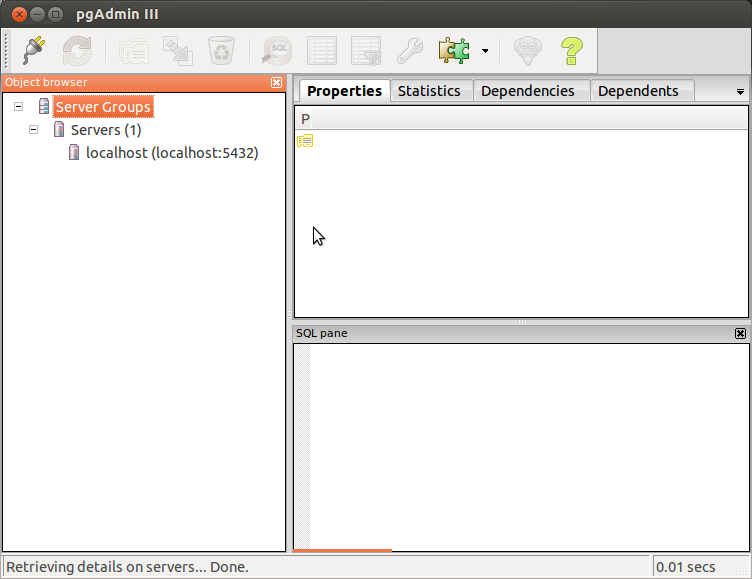 Do you want to drop database in OpenERp using Web Client? Here we provide step by step menthod to drop the PostgreSQL. 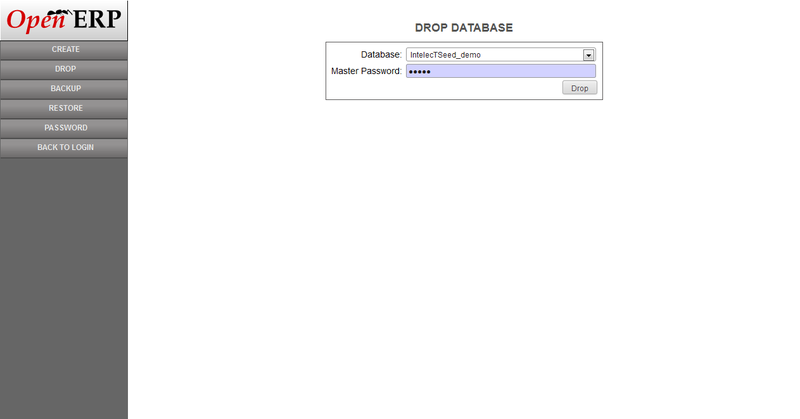 Click on the Manage Databases Link to drop Database (PostgreSQL). 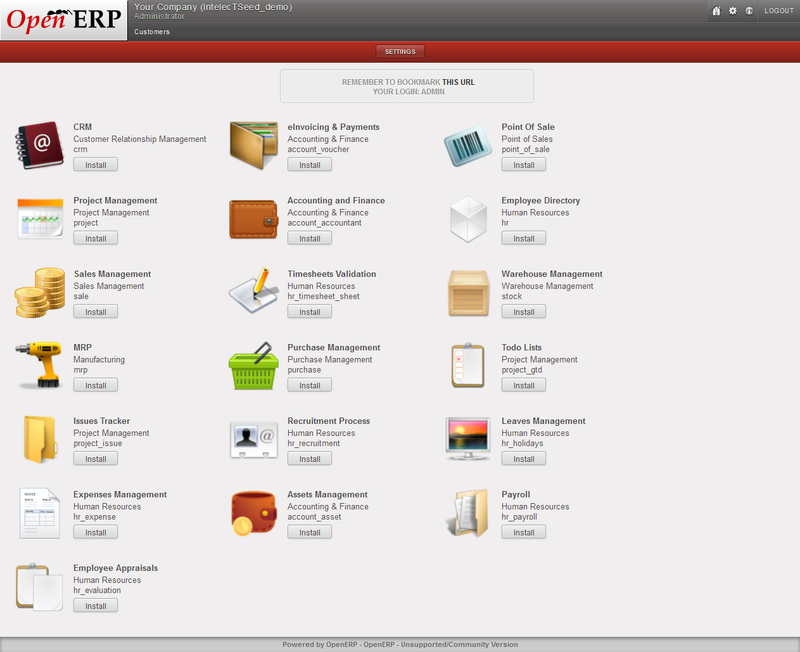 Before you create any database, you need to install OpenERP.To install OpenERP 6.1 and OpenERP 6.0 on Windows Vista and Windows 7 in 10 Minutes, You may like to visit How to install OpenERP 6.1 and OpenERP 6.0 on Windows Vista and Windows 7 in 10 Minutes. 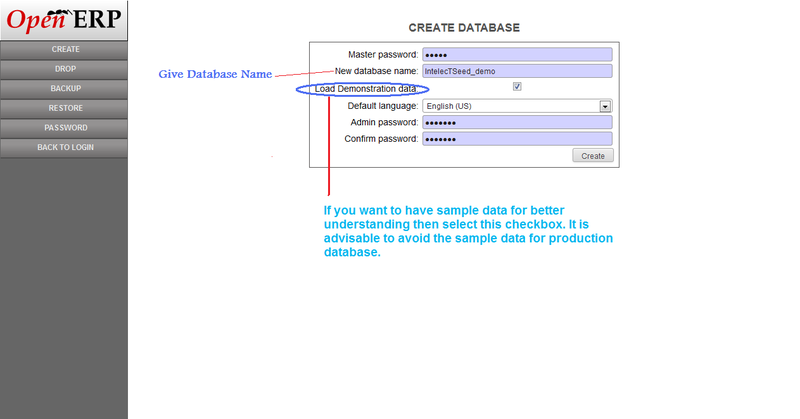 Please visit our post on How to create database in OpenERP? It will ask for the confirmation to drop the postgreSQL database. How to create database in OpenERP? 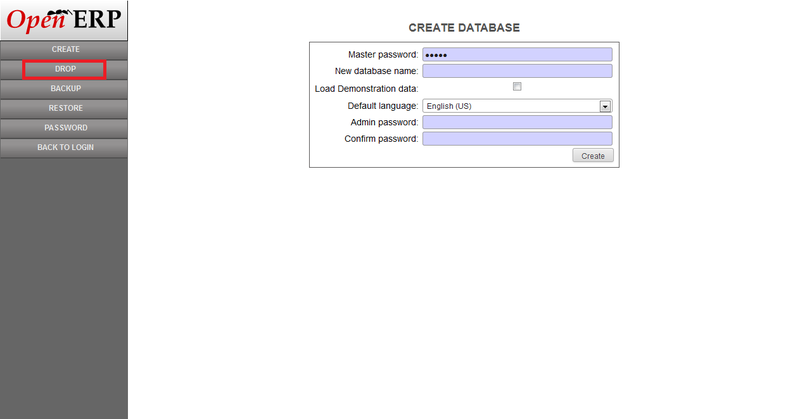 Click on the Manage Databases Link to create Database (PostgreSQL). 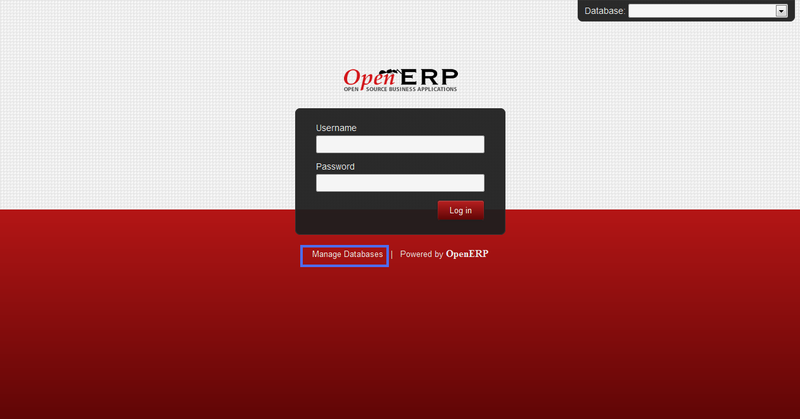 In Create New Database screen of OpenERP Web Client, Give New database name and Password and Click on Create. It will take some time to create a new database; once the database is created you will be redirected to the web console of OpenERP. 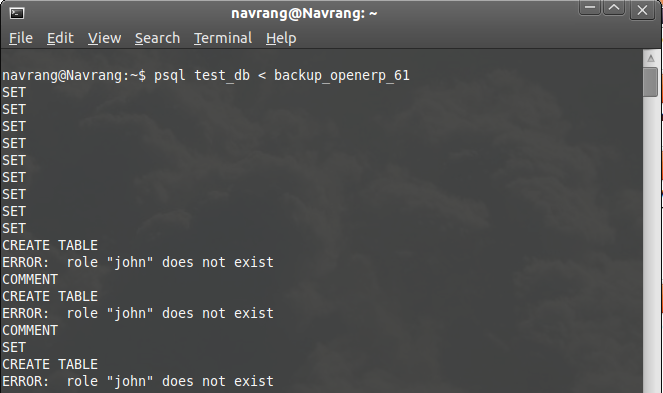 There are two methods to perform backup and restore operation for OpenERP database. Follow the steps to create backup and restoring database. 3) There are various options available on left side bar. 4) Follow the screens displayed below. It is advisable that if backup has been taken from command prompt then restoring should be from command prompt only. Follow the screen steps for creating backup and restore. 1) Executing following command will create a blank database. 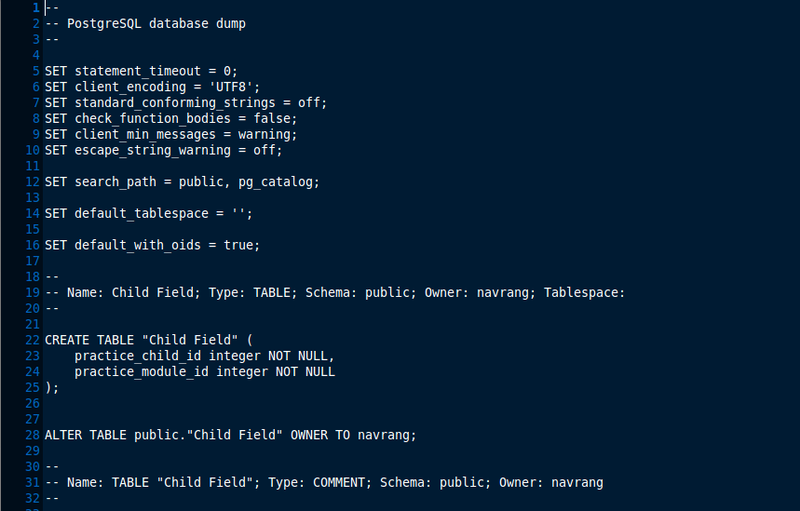 3) Execute following command will restore your db into blank database created in step 1. Upto here, assume that everything is working in the same PC. Now let say, someone is trying to restore database using command prompt for which, the database has been backed up from another PC. In above case, You can see the error message `role “john” does not exist`. It means that database has been backed up from another PC having name is ‘john’. So now, in this case there are two solutions to restore this database as follows. 1) Either you can open dump file, and change the role name wherever you find name ‘john’ as your role displayed in following screen. Here I have changed name as ‘navrang’ in place of ‘john’. 2) Another option is, if dump file is too long to change role/owner name, then you can create a user in your PC named ‘john’ so it will work as it is. And this way we can restore our database. 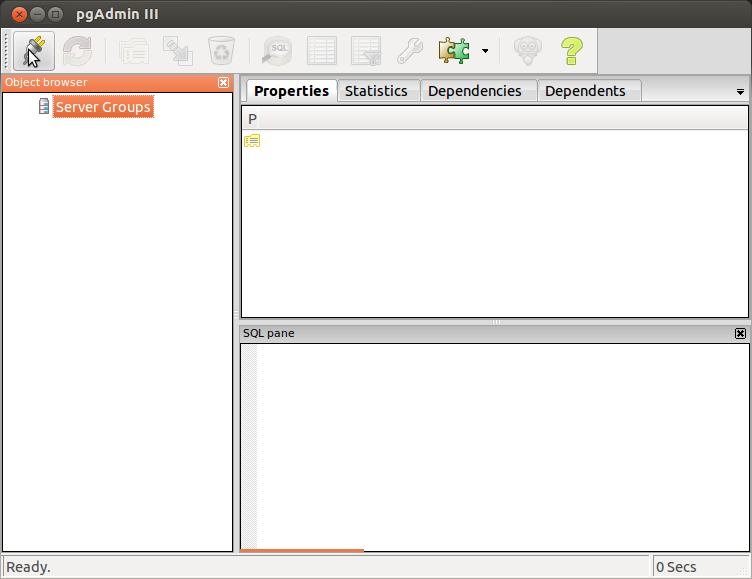 I would like to discuss regarding pgAdmin connection with PostgreSQL. We will go with screenshots one by one. In first screen, I have opened pgAdmin, and clicked on “Connect” icon. When we click on “Connect” button, following window will get appear in which we have to enter postgresql information. Press “OK” button when done with information. 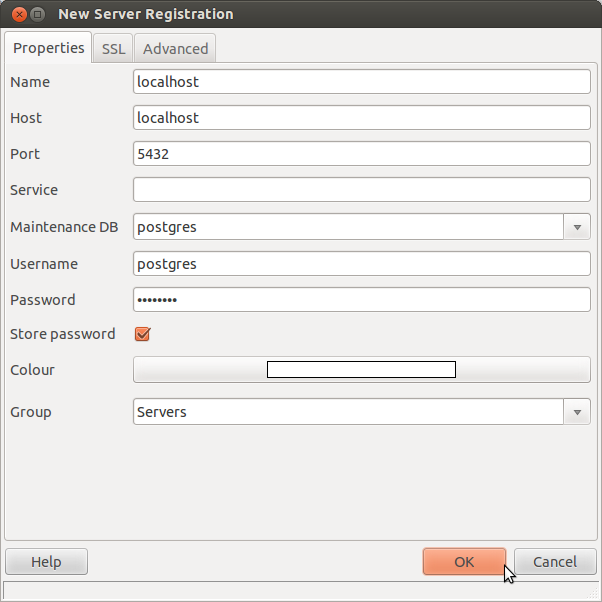 You will get below error message because of PostgreSQL user authentication. Now, lets solve this error by using following commands. Once you completed this process from command line, do the same process for entering PostgreSQL information. You will see the following screen with connection in pgadmin.